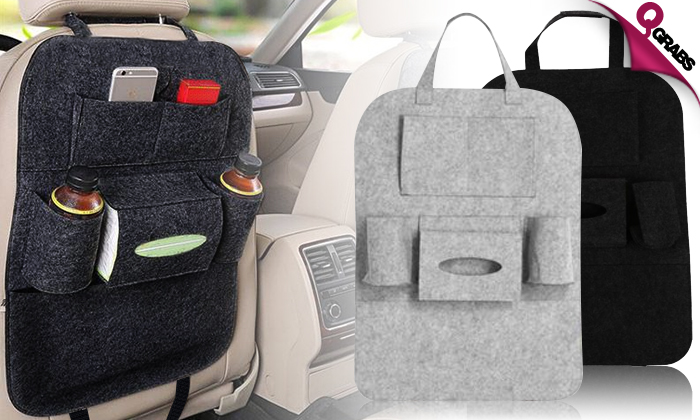 Get perfect storage with this convenient seatback organizing bag for your car. All you gotta do is attach the seatback organizer to the headrest supports of the driver or passenger seat using the adjustable hooked strap. Store your magazines, a box of tissues, CDs, drinks, snacks and so much more right in front of your backseat passengers! Especially great for families traveling with kids to ensure all of your children’s things are at hand.